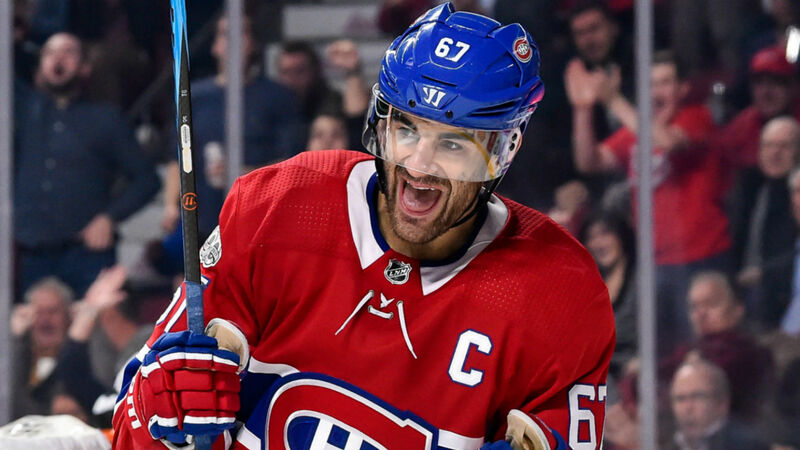 Not only is Pacioretty one of the best goal-scoring wingers in the league — and a player who should be primed for a bounceback year after scoring just 17 goals in 64 games a year ago — but they were able to sign him to a fairly reasonable contract extension that doesn’t extend too deep into his 30s. Building a team that doesn’t have a lot of bad contracts is one of the best things general manager George McPhee has been able to do in his brief time in Vegas, both in terms of financial commitment and term commitment. The only players they are committed to beyond 2021 (three years down the line) are Pacioretty, Reilly Smith, Jonathan Marchessault, Colin Miller, Brayden McNabb and starting goalie Marc-Andre Fleury. Fleury and Pacioretty are the only two in that group that are currently over the age of 27. But let’s talk about what they gave up for Pacioretty, because it’s a fascinating look at the team’s roster management during its first two years in the league. The conditions of the trade were that Vegas would get the two draft picks and Clarkson’s contract if the Golden Knights agreed to select Karlsson in the expansion draft instead of Josh Anderson or backup goalie Joonas Korpisalo. Vegas then took that No. 24 overall pick and traded it to Winnipeg for the No. 13 pick as well as a 2019 third-round pick (which Vegas still has) if Vegas promised to take Chris Thorburn in the expansion draft. What is perhaps most amazing about Vegas’ situation is that even after giving up all of those assets to acquire Pacioretty, they are still sitting in a pretty good position both currently and in the future. Even with Suzuki gone, they still have two of the top-15 picks from the 2017 draft in the organization (No. 6 overall pick Cody Glass and No. 15 overall pick Erik Brannstrom — the result of an expansion draft draft with the Islanders) and 18 future draft picks over the next two years, including nine in the first three rounds (their own first round pick in 2019 and 2020, three second round picks in 2020 and three third round picks in 2019). Not everything is going to break Vegas’ way in 2018-19 the way it did a year ago. Karlsson will probably not score 43 goals again. Fleury probably will not have a .927 save percentage again. Maybe Erik Haula is not a 30-goal scorer. But they made a couple of big moves in signing Stastny and acquiring Pacioretty that should help balance some of that out. They also have the salary cap flexibility and future assets to do something else major to add help where they still might need it.